The answer, as is frequently the case, is, “It depends.” Those of us who are seeking information about our ancestors through DNA matches hope that your answer will include contacting or responding to contacts from your DNA matches. Many people take DNA tests to find out their ethnicity percentages and have no interest in connecting with relatives, and that is okay. For those of you in this group, there isn’t much of a next. While each testing company presents the information differently, they all have some sort of user-friendly interface to see your genetic origins and you’ve found the information you were looking for . You may receive emails from near or distant cousins, and if you have the time and inclination, I encourage you to answer them. 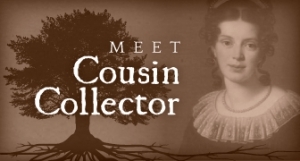 You might discover things you never knew before about your ancestors, or you might be the match that solves a mystery for a cousin. That said, you are under no obligation to share information. If you do not have the time or inclination, you have every right to read your results and be done. You can change your privacy settings to customize who may contact you; each company has different privacy options. For those who are interested in using your test results to pursue your family’s history, the rest of this article is for you. Let me state for the record that I am not a genetic genealogist. I’m not a DNA expert, and I’m not the person to teach you how to interpret your results. What I can do, however, is point you to resources that will help you start on your journey. A basic understanding of what DNA tests are measuring and the terminology that is used is helpful. Terms like cMs, segments, autosomes, chromosomes, and more are thrown about in almost every conversation about DNA matches, so a little time researching the basics will save you a lot of confusion. Roberta Estes of DNAeXplained defines these terms and explains the basics of how DNA can help genealogists (includes helpful graphics). I recommend watching a few videos or webinars to get a grasp on the basics of DNA. Genetic genealogy is a complex subject, and sometimes we need to hear and see an instructor to grasp the subject matter. There are many webinars in a range of difficulty levels online to help you navigate the process of using DNA to further your genealogy research. With a browser window open to a glossary of DNA terms, you can pause the video when you hear a term you don’t understand and look it up in your other browser window before continuing. I find that the combination of the audio and video helps me to understand the process more than just reading alone. Below is “Introduction to DNA for Genealogists” presented by Jim Raider (recorded live at RootsTech); I’ve embedded it to start midway through the session where he starts explaining how DNA works. Legacy Family Tree Webinars cover many DNA topics and are presented by some of the most knowledgeable individuals in the genetic genealogy field. The live videos are available for free to registered viewers when thei air and for 7 days afterward, but archives are part of a subscription model at $49/year for view on demand. You can search for DNA topics among the upcoming free live videos. Who Do You Think You Are has a YouTube channel offering dozens of DNA videos, some with topics ranging from beginner to advanced. These are recorded live in crowded halls and as such the audio quality is fairly low on many of them. This case study from Diahan Southard of Your DNA Guide is a helpful introduction to how she used DNA in her own family. Diahan also offers video training for sale on her website; I personally enjoy her teaching approach. Family Tree DNA offers a large list of free webinars on their website; some deal specifically with their user tools while others cover general DNA topics. Rick Kittles specializes in using genetics in African ancestry searches, and he has a free video called “Tracing Our Ancestors: Using Genetics to Investigate Genealogy” on YouTube. This is an overview video and while it does not go into “how to” specifics, it will be of interest to those hoping to use DNA to discover their African ancestors. ISOGG – The International Society of Genetic Genealogy wiki is the go to place for definitions and explanations. It, like other wikis, is community sourced, and is a handy reference for all things genetic genealogy. The Genetic Genealogist – Blaine Bettinger is one of the most well-known names in genetic genealogy and this is his site. Blaine co-wrote Genetic Genealogy in Practice with Debbie Parker Wayne and is a popular speaker at conferences and in webinars. His Shared cM Project is most useful in determining relationships based on shared centimorgans (cMs) with other individuals. Blaine was recently awarded a technology award from the Federation of Genealogical Societies (FGS) for his work collecting and compiling data showing the actual number of cMs shared by individuals with verified relationships. The charts he put together can be useful tools for interpreting your match results; I printed and laminated Table 4 on pg. 27 & 28 (of the Shared cM Project file) for easy reference. As a blog, the site has no overarching organization to assist with navigating in and among topics, but a list of every post can be seen by title on the chronologically-ordered archive page. DNAeXplained – Roberta Estes has been blogging and helping people interpret DNA results for several years, and her site covers many topics of interest. Roberta has a particular interest in Native American history and genealogy. 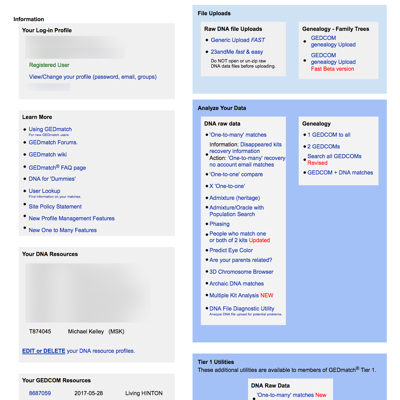 Like The Genetic Genealogist blog, DNAeXplained has little in the way of topical site navigation. Archives are chronological rather than topical, although various categories can be visited by clicking links in the sidebar. 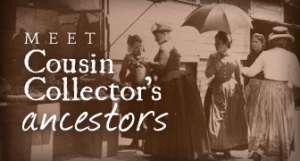 Kitty Cooper’s Blog – The DNA Basics post at Kitty’s blog will start off new users in the right direction, and she has an informative post about using DNA to find distant relatives among the many genetic genealogy articles. Geni.com – Cece Moore’s DNA Testing for Genealogists is a detailed four part series on Geni.com that covers Y-DNA (passed only from father to son), mtDNA (passed from mother to children), autosomal DNA (passed from both parents to children), and ancestral origins. There are many third party tools coming available as the popularity of DNA testing increases. Introducing them all would quickly overwhelm most new DNA testers, so I will not go into a lot of detail about them other than to say when you grasp the basics, check into how they might help you. Most of them are frequently mentioned in genetic genealogy groups and websites and can be easily found through web searches. As always with DNA resources, be sure you read and understand the privacy policies of each tool and only use the resource if you agree with the policy. GEDmatch is an online database, and is the exception that I will discuss because of its ability to vastly increase teh size of your match pool The website allows free uploads of raw data from 23andMe, Ancestry, FTDNA, WeGene, and MyHeritage as well as a generic upload format. This gives users a match database that is not limited to individuals who tested with the same company they used. Since not everyone tests at multiple companies but many do upload to GEDmatch, uploading to GEDmatch allows you to exponentially expand your match list. GEDmatch has tools to help users ranging from beginner to advanced, and there are far too many tools to go into detail here. Jared Smith has a helpful guide to using GEDmatch for beginners. One that I will highlight is the chromosome browser, which is especially helpful to users who tested with AncestryDNA which doesn’t offer a chromosome browser.The browsers allows users to visually browse where their matches share DNA on each chromosome. Keep in mind that there are two pairs of each chromosome, but the browser only shows one. This means that just because A matches B and C on chromosome 18, B and C do not necessarily match each other because the match could be on the other chromosome of the pair. 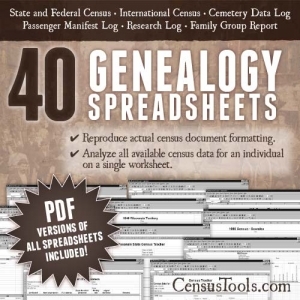 Angie Bush’s video GEDmatch Basics is helpful for new users. Kitty Cooper has several posts about using GEDmatch; this one on the GEDmatch tools available gives some good basic information. The GEDmatch.com User Group on Facebook can help you understand the tools available to you on GEDmatch. I’m a big fan of Facebook in general, and Facebook groups are a great way to interact with others about specific topics. I am more of an observer than a participant in most genetic genealogy groups, but I have learned quite a bit without even asking any questions. Before joining a Facebook group, it’s important to learn the appropriate etiquette. For all Facebook groups, the first thing you should do to avoid any missteps is to read the introduction post (often called the “pinned post” because it is pinned to the top of the group page) as well as the group description. These set out the expectations and guidelines for the group. The most considerate way to use any group is to first search for your question to see if it has already been asked (and asked… and asked… and asked again). All groups have a search field; on desktop this is now in the left column of the group page; on mobile it is in the top menu below the header. If you find that the specific answers you are looking for have not already been provided, go ahead and post your questions. You might mention in your post that you searched the group but didn’t see that specific answer listed. If the topic has been discussed previously, a member might be able to suggest different search terms to help you find the previous discussion. For the absolute beginner, DNA Newbie is a good starting place. As the name implies, this group is geared toward those brand new to using DNA results. With 10k members, it is less overwhelming in terms of the quantity of posts and replies than groups with larger numbers. There are many region or ethnicity specific DNA groups on Facebook. 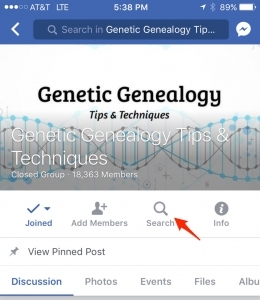 If that is of interest to you, you can find them with the term “genetic genealogy” in Facebook’s search bar and browsing the results if a search for the specific region or ethnicity with the term DNA or genetic genealogy does not turn up any results. The following groups are general and educational in nature, and topics tend to be somewhat more advanced. Genetic Genealogy Tips and Techniques – This group with over 18k members is my favorite and is administered by Blaine Bettinger, Leah Larkin, and Drew Smith. It is an excellent place to observe and learn as well as a place to ask questions (after searching to see if they have already been answered). Discussions here tend to be more technical and relate directly to using DNA as a research tool. DNA Detectives – Open to anyone interested in learning more about using DNA results, this group is geared toward “using DNA to find biological family for adoptees, foundlings, donor-conceived individuals, unknown paternity and all other types of unknown parentage cases – recent and more distant.” The group is large with over 65k members. International Society of Genetic Genealogy – The official group of ISOGG is administered by Angie Bush, CeCe Moore, and Katherine Borges. Like the group above, it is a large group but tends to cover a wider range of topics related to genetic genealogy. Published by the National Genealogical Society (NGS), this workbook by Blaine T. Bettinger and Debbie Parker Wayne gives a thorough beginner overview of each type of DNA test for genealogy. As with other books in the NGS “In Practice” series, there are plenty of opportunities to put what you are learning into practice. Published by NGS in 2016. Also from Blaine T. Bettinger, this title is published by Family Tree Books. This is more of a user-friendly textbook than a workbook, and it contains large, colorful diagrams that walk you through everything from flowcharts to help with the selection of a test to printable worksheets to track your cousin matches. Published by Family Tree Books in 2016. 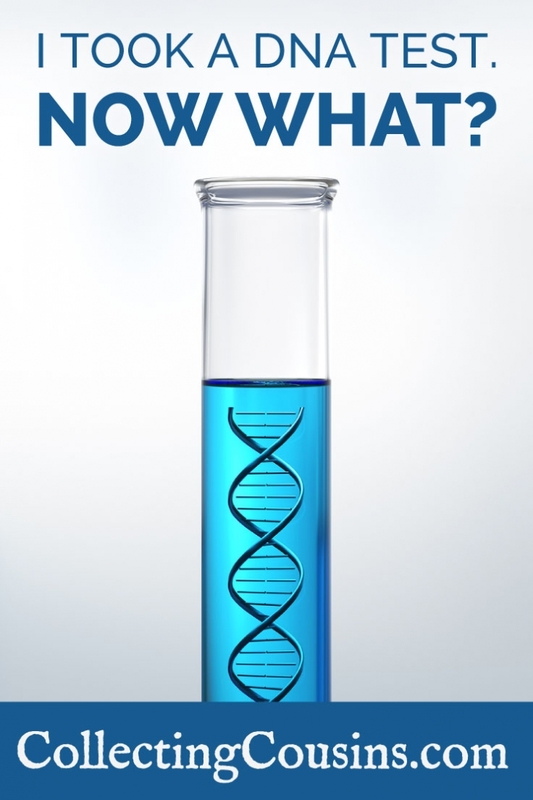 Do you have a favorite DNA resource geared toward newbies? Let me know in the comments.